Corena "Sissy" Yocum, 65, of McKinney, KY passed away on Wednesday, August 29, 2018 at Ephraim McDowell Regional Medical Center in Danville. Born March 15, 1953 in McKinney, KY to James and Catherine Owens of McKinney, KY, she was the widow of the late Bobby Yocum. 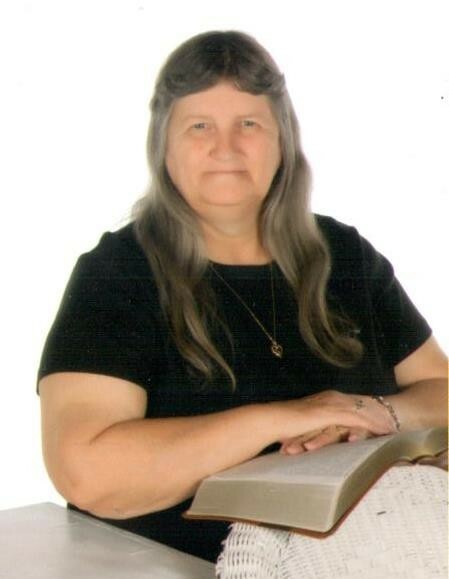 She was a retired employee of American Greetings, Inc. where she worked in the order processing department, and was a member of Green River Pentecostal Church. She loved her family, enjoyed spoiling her granddaughters, and was an avid U.K. Basketball fan. Survivors include one son, Chris Yocum (Amanda); of Liberty, KY; one daughter, Stephanie Terry (Patrick) of McKinney, KY; four brothers, James Buck Owens (Paulette), Jackie Dale Owens (Rita), and Garnett Keith Owens (Teresa) all of McKinney, KY, and Marty Allen Owens (Tammy) of Stanford, KY; three sisters, Barbara Lou Walls (Dale), Bonita Kaye Gilliam (Dannie), and Sheila Gaye Harris (Scott) all of McKinney, KY; five grandchildren, Aubrey Dawn Terry, Shayla Nicole Terry, Jalee Grace Yocum, Kailey Piatt, Kinzie True; a special granddaughter, Bethany Smith Mullins; one great-grandchild, Brooklynn Dawn Terry; two special great-nephews, Tucker & Easton Owens; one special great-niece, Abby Walls; and a host of nieces and nephews. In addition to her husband, she was preceded in death by one great-grandchild, Leah Catherine Cordier. Visitation will be Friday, August 31, 2018 at Green River Pentecostal Church from 5-9pm. Funeral service will be 2pm Saturday, September 1st at the church with Rev. Mike Yocum and Rev. Rick Naylor officiating. Burial will follow at Eason Cemetery in Geneva, KY. Casket bearers will be: Ed Walls, Ryan Owens, Jackie Owens, Marty Owens, Garnett Owens, Keith Caudill, and Kendall Caudill. Honorary bearers are: Dale Walls, Kevin Caudill, Johnny Mack Brown, and former co-workers at American Greetings order processing department. Spurlin Funeral Home, Stanford is in charge of the arrangements.